New York City is one of the top tourist destinations in the world. In the year 2017, the estimated number of tourists hit a record 61.8 million people, making 2017 the eighth year of consecutive growth. At any time of the year you can expect to find the city bustling with visitors for its attractions. 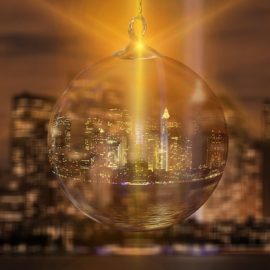 From the Rockefeller Tree Light Up to its summer entertainment and fashion week in the autumn, travelers continue to be drawn to the metropolitan city. However, for these tourists their experiences and visits come with a pretty price tag. The flights and expenses attached to the trip can quickly add up to a pretty penny. So can you experience the city on a budget? Absolutely! And it all begins with your planning. Whether you are planning a family friendly trip to NYC or a solo weekend getaway, these money savvy tips can help. We have all heard the saying, failure to plan is planning to fail. It is quite appropriate in this situation. One of the best ways to get the best value for your money when visiting NYC is to research and plan ahead. From booking your flights and hotel rooms to admission to festivals and events, you will be amazed at how much you can save with a few minutes of research. When planning your visit, a handy tip is to group your sights according to location so that each day you visit one neighborhood, saving transport costs. For your flights and hotels, comparison sites are great tools to get you the best deals. For 2017, the average cost of an overnight stay in NYC rang in at $331 dollars. By booking at least three weeks before (ideally two to four months in advance), you can grab a saving of up to 30 percent. With that extra $100 saved, you can add more activities to your trip or if you are after generating financial returns, plug it into a micro investment app. Be aware of the peak tourist periods as well. 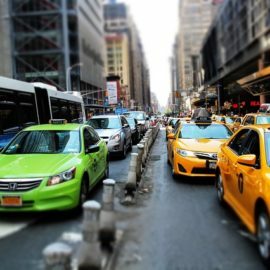 New York City sees its highest tourist traffic in the periods June-August and November-December with the months January and February being noted as the best times to visit if you are looking to save money on flights and events. One of the greatest attractions of NYC is its entertainment including Broadway shows. If you are wondering if being on a budget automatically means you would have to skip it or opt for less than stellar seats, it does not. The key lies in utilizing the many resources available to you. One way to get great priced tickets is to go directly to the source. Many theatres aim to fill seats and therefore, coming up to a show they will often offer discounted tickets. There are a number of great free attractions in New York City. Galleries and museums such as the Museum of Modern Art in Midtown Manhattan, regularly host events at minimal prices or for free. From kid themed events to art shows, take advantage of the melding of culture New York City has to offer. The iconic Central Park often has free entertainment and Washington Square is known for its street performers. The diversity of New York City is well known; it is a melding pot of culture from all over the world. Don’t be afraid to explore that. Ethnically themed neighborhoods such as Chinatown or Little India are alive with great attractions and can save you a great deal on your eating expenses. Another option is to take the DIY route by getting self serving accommodation and making some of your meals yourself. If you are after cuisine exploration and dining out, food apps such as Black board Eats and food trucks are great your wallet and taste buds. So what are you waiting for? Get started on planning your dream trip to the Big Apple today. These handy tricks can help you fulfill that travel bug, without breaking the bank.